We are a new Boston-area theater company bringing contemporary and traditional psychological insight to classic dramas, by focusing on the elements of human nature that transcend time. 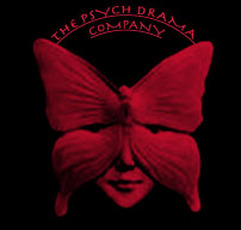 The Psych Drama Company was founded in December of 2010 by Wendy Lippe, Ph.D. As a clinical psychologist, Wendy's vision in starting this company is to integrate her professional expertise with her work as a creative artist. We aim to produce dramatic pieces that engage the large community of mental health professionals in the Boston area, as well as to stimulate and foster psychological mindedness and insight in the community at large. It is important to us that our productions target not only professionals in the field, including psychologists, psychiatrists, mental health workers, and social workers, but also members of the general public: we aim to be equally accessible to professionals and laypeople alike. Our ultimate goal is to make all of the greatest classic works of drama relevant to today's audiences by focusing on the timeless elements of human nature.